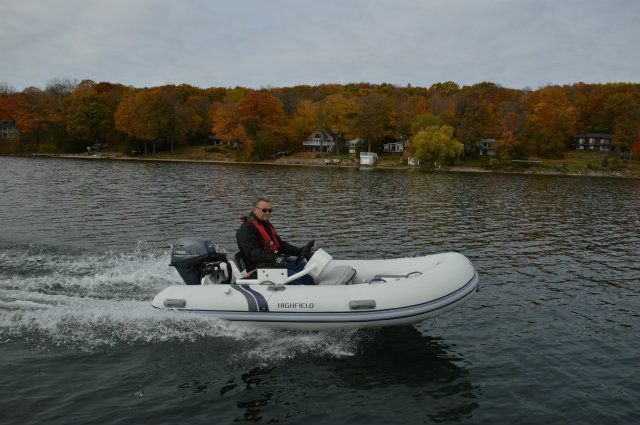 If you need a boat to tow behind a compact car or to use as a tender for a cruiser, the logical choice has always been a Rigid Inflatable Boat (RIB). When I had my cruiser, I had a 10.5-foot RIBthat I used for both and enjoyed it immensely for many years. 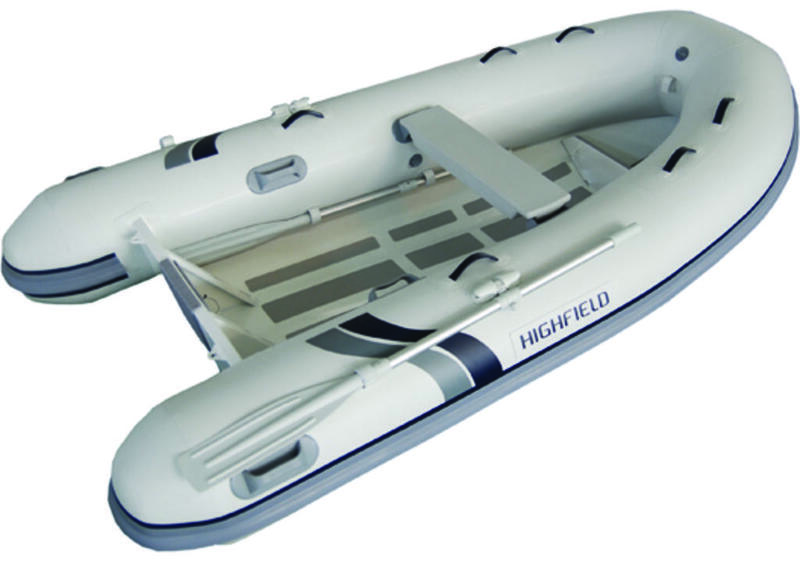 A welded aluminum hull rather than fibreglass reinforced plastic or polyester resin hull (FRP) makes this Highfield CL 340 very light. The result is a substantially stronger hull as well. 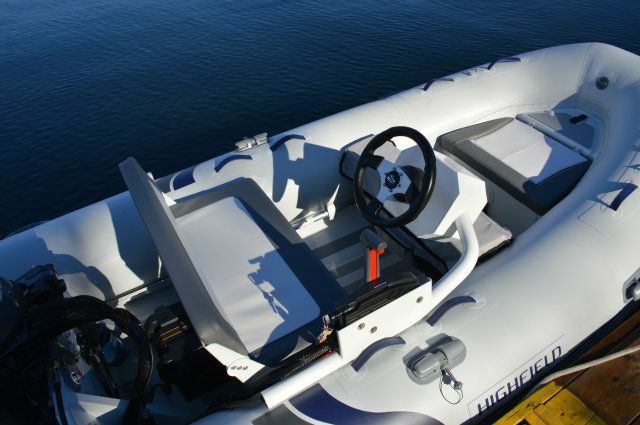 It’s ready to take the abuse of beaching on sand, gravel or rock. 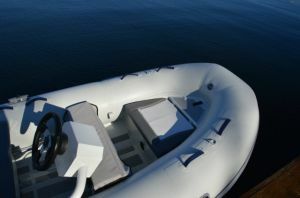 The hull has a self-draining deck, a forward locker, with seat cushion for the portable gas tank and a bow anchor locker. The Classic 340 is offered with a single seat forward and the remaining passengers are to sit on the tubes. The boat is powered by a tiller steer outboard. 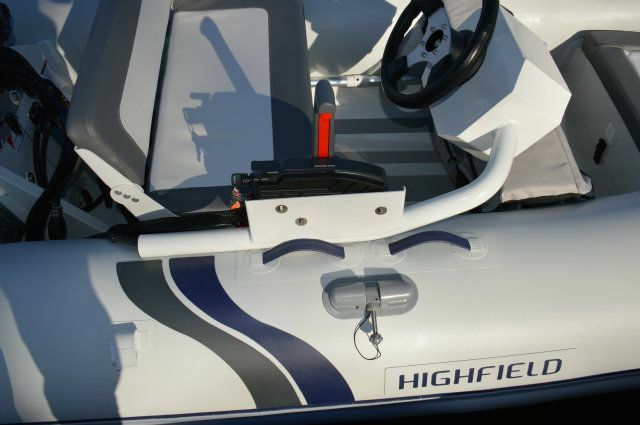 Other standard features are the bridle tow eyes, lifting points and tow eyes, under seat storage bag, dry bag, oars with inside storage points, foot pump and a repair kit. 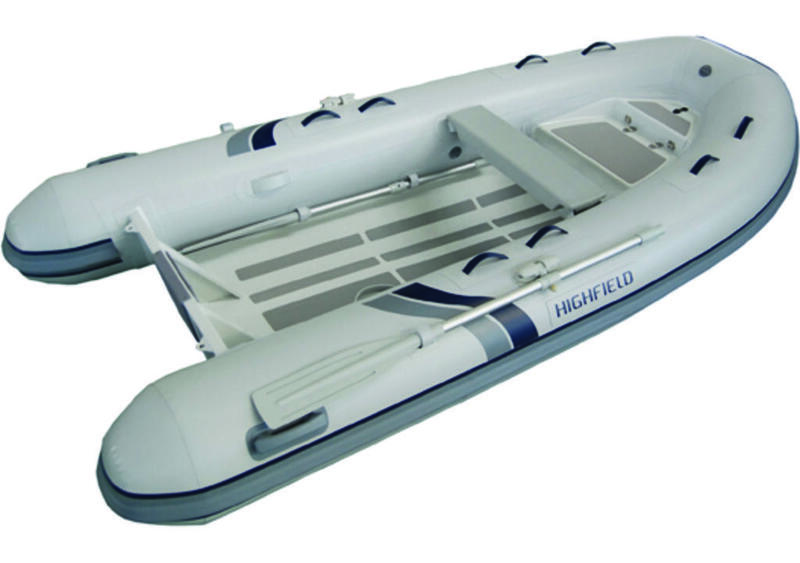 The length and light weight of our test boat allowed for the optional FCT console and bench seat - the ideal package if you spend a lot of time on the water. The seat with backrest has room for two, provides storage in the base and in combination with the helm wheel and side mounted controls is decidedly more user friendly. 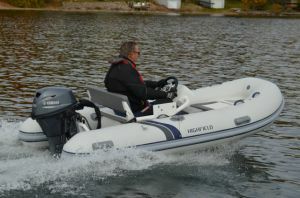 A Yamaha F20 with electric start and power tilt moved this CL340 with reasonable authority. 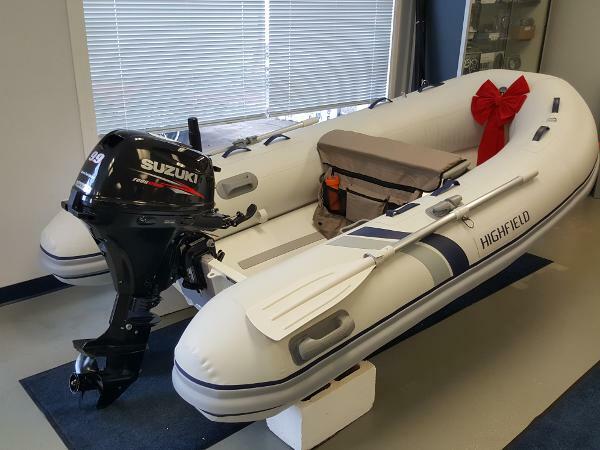 I was impressed by the hull design of this small RIB. 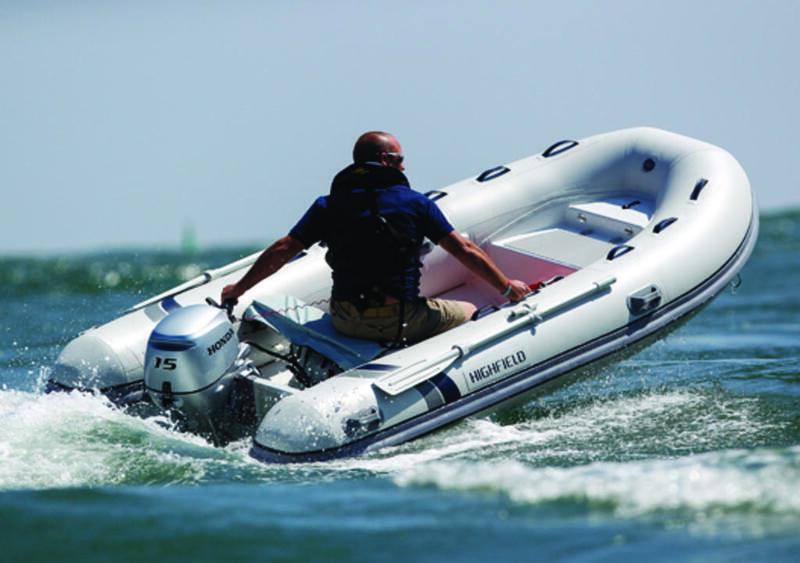 With a 20hp four-stroke outboard, the additional console and seat, and virtually nothing but a half tank of fuel forward, bow rise was minimal and it was on plane quickly. 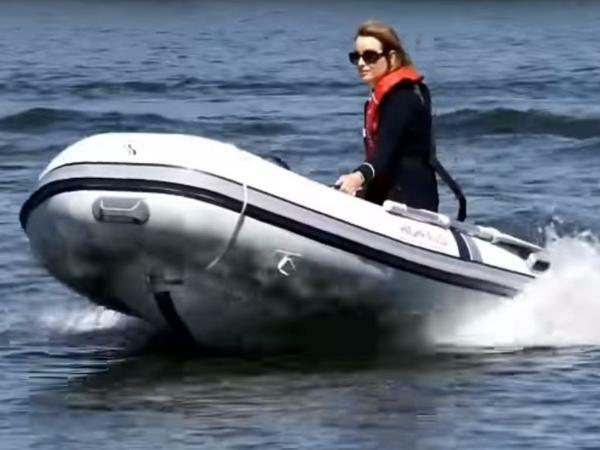 Tossing the RIB aggressively into turns across its own wake surprised me. 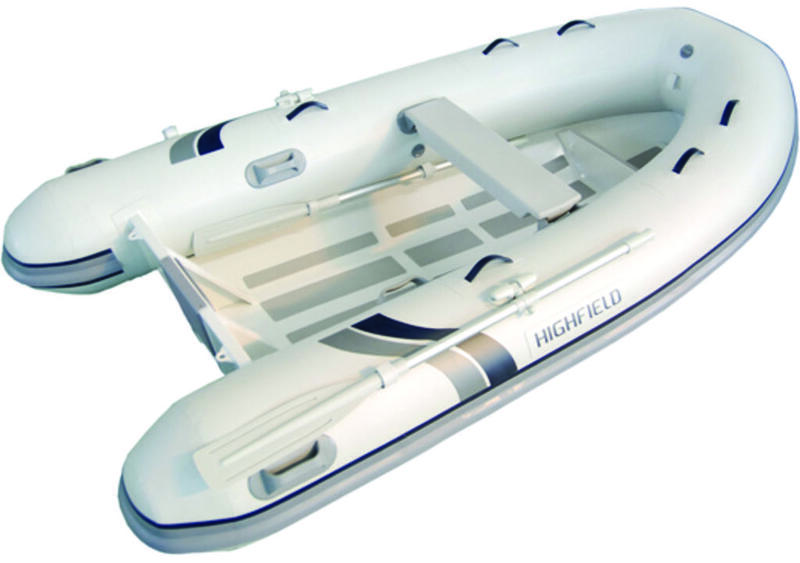 Most small RIBS will become unsettled and skip sideways. 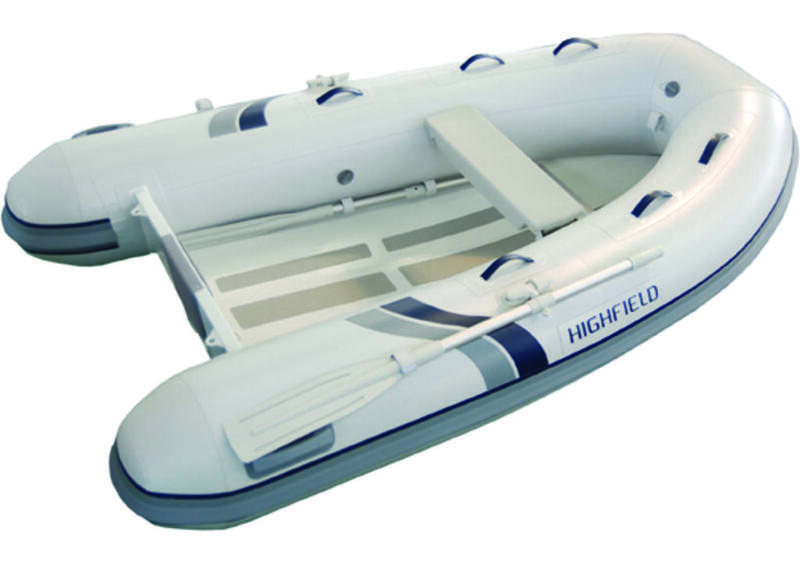 Not the Highfield, it just continued on smoothly through the turn.